We spoke earlier about the basics about strangers and what kids ought to know. Now, here are some practical suggestions you can teach your children in the second part of dealing with strangers. Have basic rules when it comes to handling strangers. We all have rules to follow, so make sure your child understands these rules . 1. Check with a trusted adult (parents, teacher, policeman etc) before talking/standing nearby a stranger. This lets the stranger know that they are being watched and thus, deterred from doing anything dangerous to your son or daughter. 2. Never give out personal information: If they are ‘friends’ of the family, they should know information about you and your family. So don’t give away your home address, phone number, email etc. 3. If you are asked to go anywhere, tell the adult in charge who you’re going with, the destination you’re going and what you plan to do and what time you’re planning on coming back (if possible). What can your children do in case they get lost? Despite our best efforts sometimes things can still go wrong. 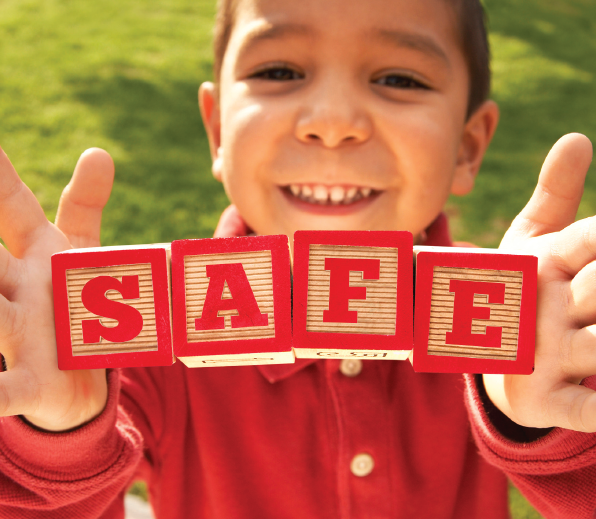 Nevertheless, make sure that you arm your child by giving them an action plan in case something happens. 4. Ensure they memorize your home address and phone number. If your child is young consider having a bracelet/tag with your name, number and address on it so that they can be identified. 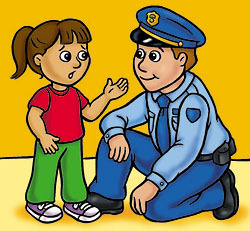 Help Children identify trusted strangers, like policeman, just in case. 5. Roleplay situations: Ask them ‘what if’ questions. For example, if you’re separated when going to a theme park/supermarket etc tell them to meet at a certain place. E.g: If you’re taking them to a theme park and they go missing, they will know to go back to say, the entrance of the theme park/lost and found tent so that they can be picked up safe and sound. We hope that you liked this particular list. If you have any more to add, do let us know!